I've been putting my metal stamps to good use by incorporating scriptures and positive words or phrases and I love how it looks with a little distressing. So, recently I scored big on a bunch of old leather belts at a resale shop and I made a little something for myself. My new leather watch. Inspired by Fossil, but only a fraction of the cost, yay!!! These are so neat! You are so creative! I especially love the watch! 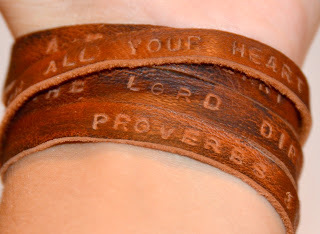 I love the thin leather wrap bracelet... I also make cuff bracelets from belts. I'd love to know what you are using for the thinner bands. So cute! How did you distress the leather? Started my career in the Advertising and Marketing field before becoming a High School Art teacher. Also taught Middle School Art. 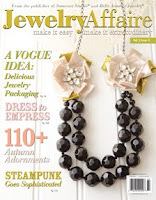 Started my business Jackie Patton Designs in order to stay home with my girls and explore more avenues of my creativity. Love the diversity and flexibility of my job....mommy first then artist, teacher, photographer, graphic designer, decorater, etc., etc. .....all things artsy, crafty and creative. Visit Jackie Patton's profile on Pinterest.